If you’re considering supplementing DHA sourced from algae, you may be wondering how the nutrient’s health benefits compare with those reported from fish-derived DHA. At least one study was uncovered by reviewers that compared algal DHA to fish DHA in a toe-to-toe clinical trial. However most of the available data comes from studies that tested algal DHA independently of fish DHA. DHA is best known for its heart health benefits. 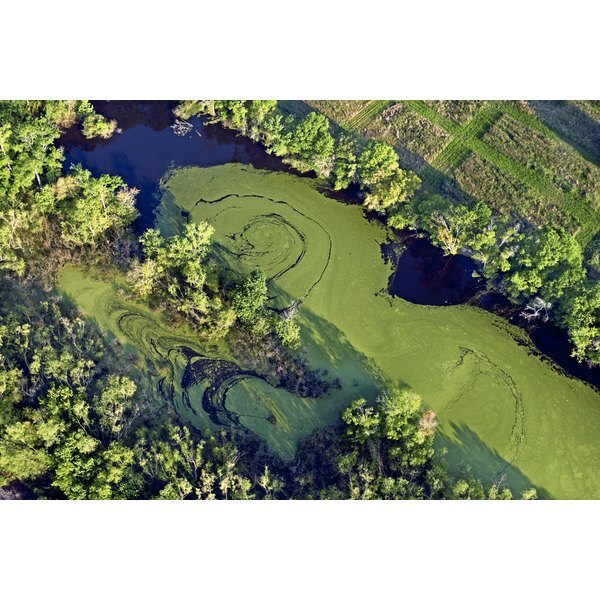 Researchers reporting in the March 2009 issue of the “American Journal of Therapeutics” poured through 20 years of studies to find trials using algal DHA. In one study, investigators supplemented two groups with either 1.68 g algal DHA or 1.33 g fish DHA, and put a third group on a diet providing four weekly fish servings. In all groups, triglyceride levels dropped up to 19 percent. However, the algal-DHA group also enjoyed a three percent decrease in “bad” or LDL cholesterol and a seven percent increase in “good” or HDL cholesterol. The same researchers reported results from clinical trials of vegetarians supplemented with algal DHA. The investigators were looking for improvements in triglyceride levels. Positive results were shown both in people with normal and elevated levels. Daily supplementation ranged from 0.94 g to 2.14 g per day for an average of three months. Triglyceride levels fell between 17 and 23 percent. The greatest reduction occurred in those with the highest triglyceride levels at baseline. In addition, HDL cholesterol increased between six and 17 percent. In two of the three studies, there was also a modest decrease in LDL cholesterol. Because of the high content of DHA in brain tissue, DHA is often studied for cognitive health benefits. Although results aren’t conclusive, a study published in the April 2011 issue of the “Journal of Nutrition” reported that fish derived DHA lowered risk of Alzheimer’s disease. In comparison, a July 2009 “Medscape Medical News” article reported on a clinical trial involving 402 subjects with mild to moderate Alzheimer’s disease who were randomized to receive either 2 g algae-derived DHA or a placebo for 18 months. In this instance, the DHA group showed no improvement relative to the control. The same “Medscape News” article discussed the Memory Improvement with DHA Study that also used algal DHA. In this trial, 485 people older than age 55 with age-related cognitive decline were randomized to receive either 900 mg per day of algal DHA or placebo for six months. The primary end point was cognitive memory testing and learning using a computer program that measures memory recall. The algal DHA group made significantly fewer errors, with an average reduction of 4.5 errors from a baseline of 13.4 versus a reduction of 2.4 errors from a baseline of 12.1 in the placebo group. Tanya Louise Coad began writing professionally in 1989 and has published original research in the journals "Clinics in Dermatology" and "Journal of Cosmetic Science." She is a cosmetic chemist and nutritional science educator with degrees from the University of Lyon in France and the University of Geneve in Switzerland. What Is Taking Magnesium Good For?